Historic Ships in Baltimore represents one of the most impressive collection of military vessels in the world. 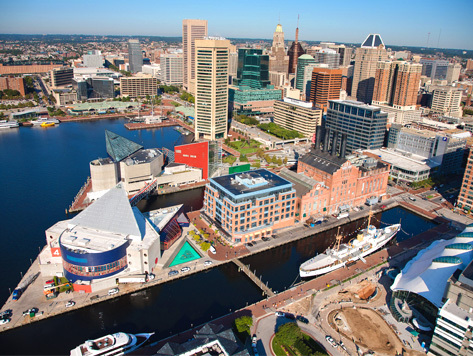 Located in Baltimore’s Inner Harbor, the historic landmark is home to the U.S. Sloop-of-War Constellation, U.S. Submarine Torsk, U.S. Coast Guard Cutter Taney, Lightship Chesapeake exhibit, and the Seven Foot Knoll Lighthouse. The Historic Ships in Baltimore also features a museum with a collection of approximately 50,000 objects, photographs, and documents. New items, often donated by former crew members and their descendants, are rotated into exhibits.